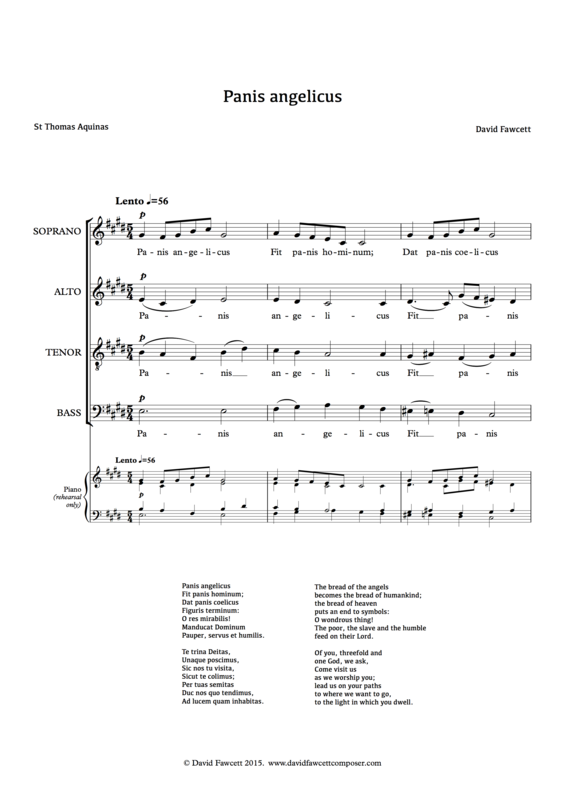 This lovely setting of St Thomas Aquinas’s famous Corpus Christi text will be useful all year round for church choirs which like to perform unaccompanied motets during the administration of Holy Communion. With its independently moving parts, gentle chromaticism and slow, lilting 5/4 metre, it is a calming evocation of the mystery of the sacrament. 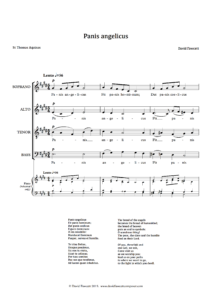 In the second verse, the soprano line escapes upwards as if in aspiration for heaven to which the sacrament leads us. The motet has been chosen to be given its London premiere as part of the London Festival of Contemporary Church Music, at Choral Eucharist in St Giles, Cripplegate, on Sunday 19 May 2019, starting at 10am. This edition by Chromata Music is in A4 format, four pages long, printed on 135gsm matt-coated paper. Those who wish to perform the work also have the options of purchasing a licensed download from which they can make their own copies, or hiring copies from the publisher. Customers in North America can now inspect and purchase this work through the US distributor, Swirly Music. For all other enquiries about placing orders, or for further information, please contact David via this form.